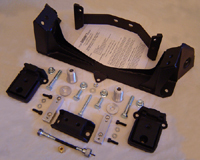 BASIC KITS...Just what you need to get your V-8 engine & transmission into place. Easy bolt-in installation. No cutting or welding required. Deluxe Kits...Deluxe package pricing to save both time and money. 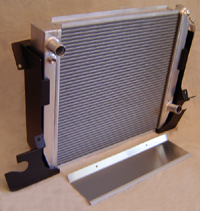 ensuring proper airflow thru the radiator core. 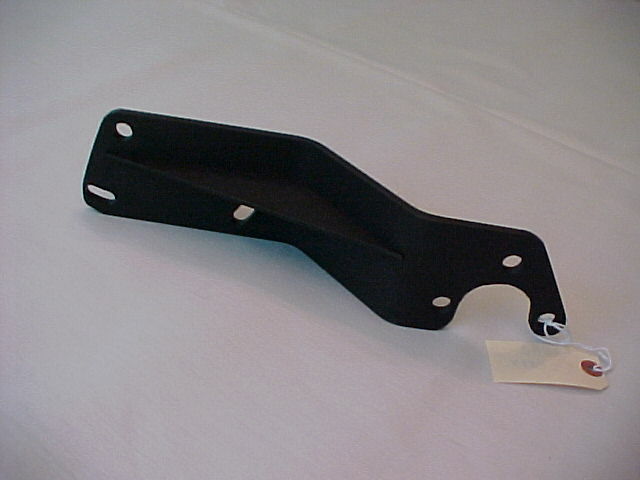 OIL PAN - CHEVY V-8: New, Modified Oil Pan. replacing the pan floor above the steering rack. RX-7 slave cylinder to the older style "straight-up"
throwout fork for increased floorboard clearance. 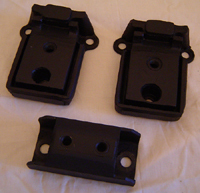 3 bolt engine mounts. Very strong. 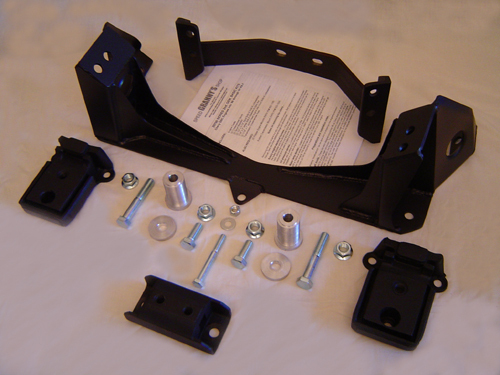 Ford 8.8 / Torque Arm / Solid Axle Conversion "KIT FORM"
...New billet 9" style housing ends- NO MORE C-CLIPS!!! 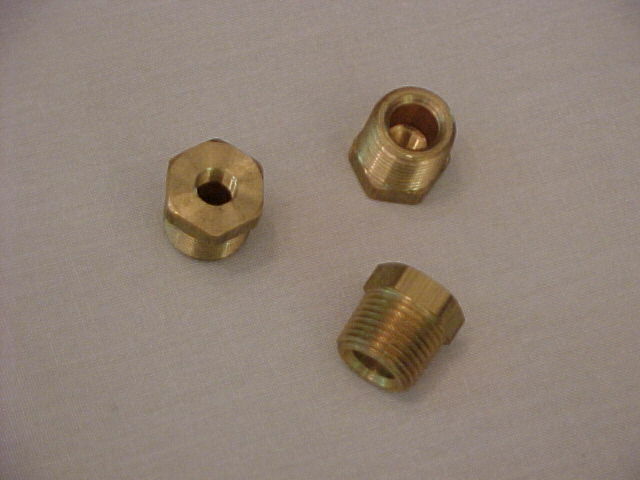 All items listed above in the Bolt-In Deluxe Package, with the addition of the following option parts, and a money saving package price. 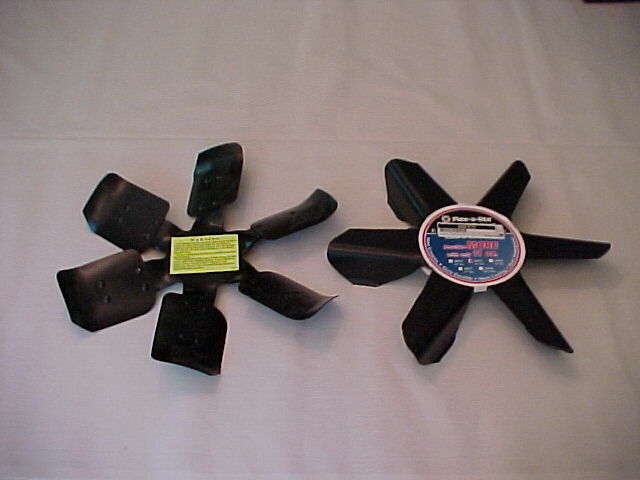 These additional parts are NOT required for the "UPGRADED" Deluxe Package. 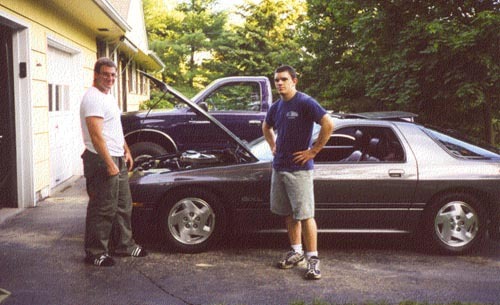 Pictured above is the Basic kit for the 2nd gen RX-7 / Chevy V-8. 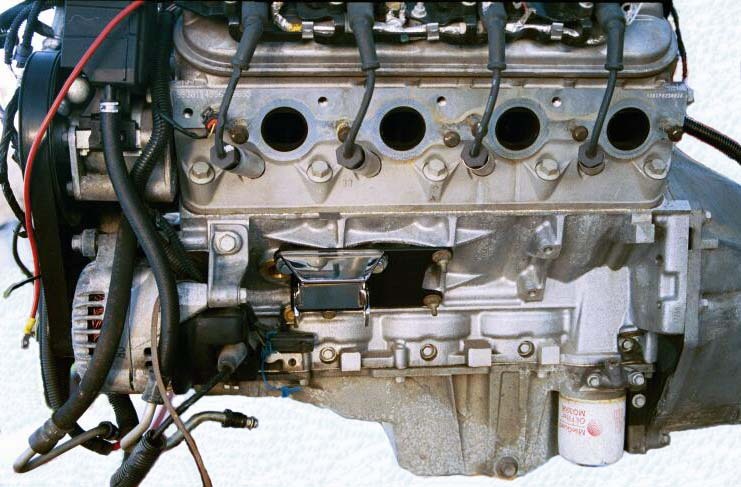 The Engine Cradle, the larger welded steel structure, fits between the stock RX-7 front sub-frame, and the Chevy engine's rubber side mounts. 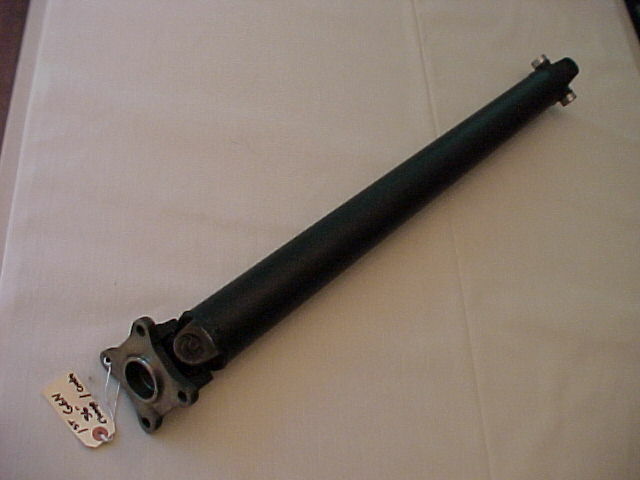 The "Spuds" (the tall aluminum machined spacers pictured) drop into existing holes in the subframe, located just in back of the steering rack (the holes were used by the factory as locators when they welded the two halves of the subframe together), and provide a solid anchor point for the cradle while preventing collapse of the hollow crossmember as the bolts are tightened. 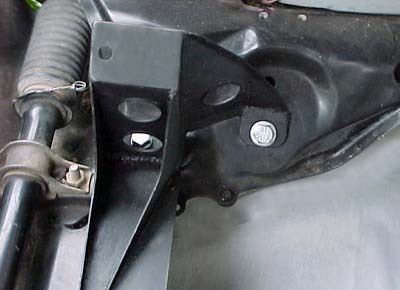 Another anchor point is used in the center, and the "Struts" extending rearward from the cradle tie into the subframe at the area that was formerly used to anchor the rotary engine, providing further triangulation. 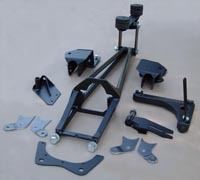 The T-350 and manual T-5 5spd use a crossmember that bolts directly to the RX-7 chassis at the existing points used for the rotary transmission crossmember. 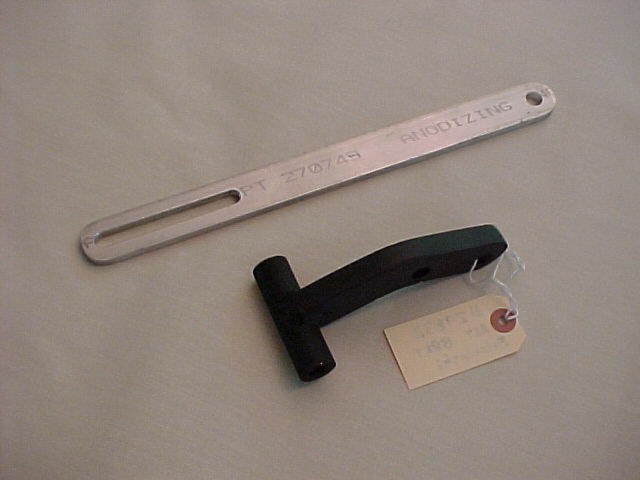 Other transmissions such as the T-56 and 700R4 use a "truss style" crossmember. 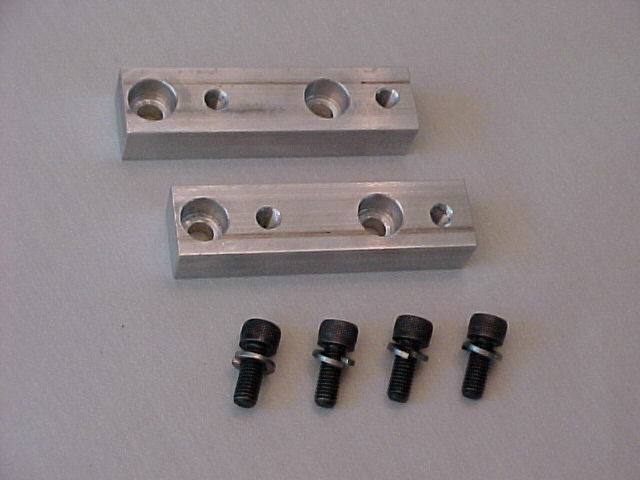 Our Engine Cradles are jig welded and bolt right in.... ...NO cutting or welding required !!! 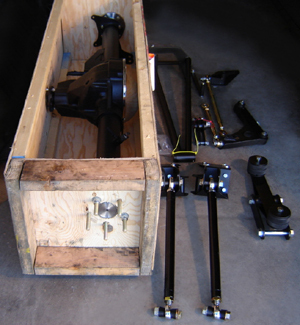 A 2nd gen V-8 cradle in it's installed position behind the steering rack. 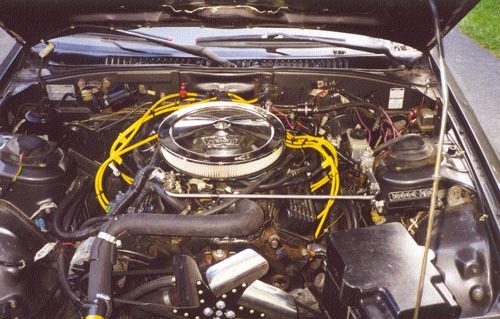 BW/Tremec T-5 5spd BW/Tremec T-56 6 spd.